WASHINGTON — Pro-life groups are expressing deep concern after a document from the Food and Drug Administration (FDA) recently surfaced, showing that the government entity has contracted with a biomedical company to obtain “fetal tissue” to create mice with a human immune system in order to test drug safety and efficacy. “The government intends to solicit and negotiate directly with Advanced Bioscience Resources (ABR) Inc. and no solicitation will be issued. The objective is to acquire tissue for humanized mice. ABR is the only company that can provide the human fetal tissue needed to continue the ongoing research being led by the FDA,” reads a pre-solicitation notice released in June. See the document in full here. The FDA’s contract with ABR went into effect on July 25, according to information on the General Services Administration website, and will run for one year. The FDA is paying ABR $15,900 for the remains of unborn babies, referred to as “human fetal tissue,” for the research endeavor. ABR says that it obtains its “tissue” from first and second trimester abortions, as well as full-term deliveries. “At the FDA, research involving human fetal tissue accounts for a very small fraction of the FDA’s total research and has been used in situations where it is critical to understanding how the human immune system responds to certain drugs and biologics. This work has led to a better understanding of a number of conditions and diseases that affect millions of Americans,” the government organization said in a statement, as reported by CNS News. “The FDA’s researchers obtain fetal tissue from a non-profit Tissue Procurement Organization (TPO) that have provided assurances that they are in compliance with all applicable legal requirements, including relevant provisions relating to research involving human fetal tissue. FDA is not involved in the TPO’s sourcing of the tissue,” it added. As previously reported, ABR is one of three biomedical companies investigated by Congress surrounding their relationship with the abortion giant Planned Parenthood, which had been suspected of making money off the body parts of aborted children. Sen. Chuck Grassley, R-Iowa, also submitted a letter to the FBI and the U.S. Department of Justice in December 2016 to request an investigation into Planned Parenthood and its business partners, which included ABR. The Senate Judiciary Committee, of which Grassley serves as chairman, had discovered following its own investigation that ABR and others were purchasing baby body parts and cells from Planned Parenthood and then reselling them to researchers at substantially higher prices. In addition to making over $2,200 from just one baby, ABR also charged shipping and disease screening fees, making over $6,000 from a single child. A technician from ABR would go to Planned Parenthood and personally collect the aborted baby body parts on site the day of the procedures. 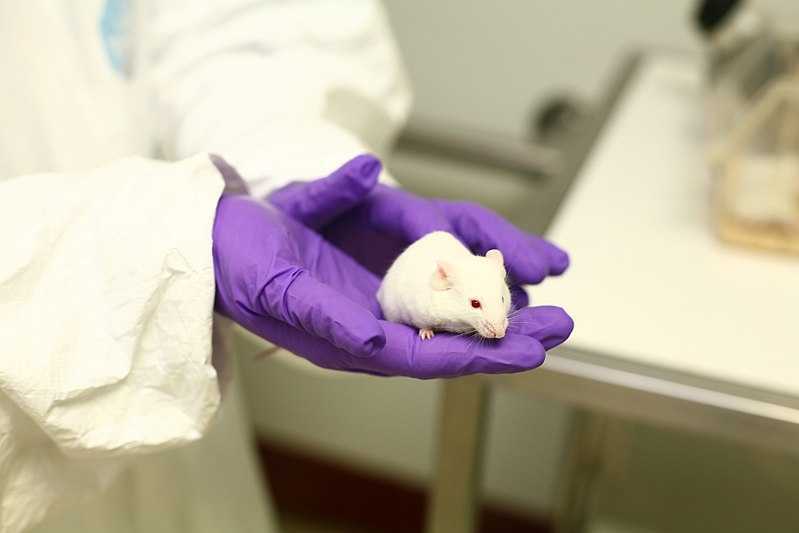 The revelation that the FDA contracted with ABR—or any company—to use the remains of aborted babies for research in mice has horrified pro-life organizations. “The FDA owes the American people an explanation as to how such a contract could have been approved. Americans demand to have a more ethical government—one that does not traffic in the remains of human beings,” she stated. “Advanced Bioscience Resources is under federal investigation right now for colluding with Planned Parenthood to sell aborted baby body parts for profit. It is unconscionable that the United States government is still paying top-dollar in taxpayer money for the freshest, most high-quality dismembered baby hearts, lungs, livers, and brains,” also lamented The Center for Medical Progress, which is known for its undercover investigation into Planned Parenthood’s supply of baby body parts to companies like ABR.